Your eyesight is very valuable. Do not risk losing it by being careless. You should always wear Prescription Safety Glasses. Especially if you also need vision correction. Covering the eyes can prevent 90% of eye injuries. Choose glasses that suit your lifestyle. You can find a frame that suits your personality. You can protect your eyes without looking odd. It’s all about choosing the right pair of glasses. As compared to regular glasses, safety eyewear is required to withstand higher pressure and provide more impact resistance. The standard applies to both lenses and frames used for the purpose of safety. Glasses used for the purpose of protecting the eyes fall in the safety category. They can be made with prescription or non-prescription (Plano) lenses. Regular glasses known as dress eyewear do not qualify for protective purposes unless they meet some certain criteria. In the United States of America, the safety guidelines for workplaces are established by the federal government. It is their duty to ensure the implementation of certain rules and regulations to reduce the risks at workplaces. The Occupational Safety and Health Administration (OSHA), an organization that works in collaboration with the Department of Labor is dedicated to overseeing the implementation of safety measures at workplaces and educational institutes. 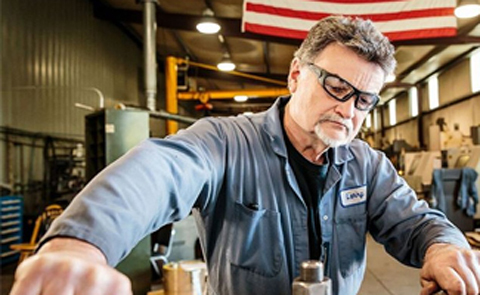 OSHA has specified a standard for Plano and Prescription Safety Glasses which is derived from the American National Standards Institute. ANSI is a not for profit, a private organization that works to create safety standards for a vast variety of products manufactured worldwide and sold within the US. ANSI standards are applied to a wide variety of safety gear that includes protective eyeglasses, face shields, welding helmets, and respirators that cover the entire face. While testing basic impact resistance, lenses are not mounted within the frames. When testing for high impact resistance, lenses must be put in frames and then tested as a complete unit. Plano lenses are considered to be weaker than prescription lenses when testing for high impact resistance. Prescription lenses are thicker, hence they are better suited to be used for safety eyewear. Prescription Safety Glasses with thin lenses are not considered fit for use. The minimum lens thickness allowed is 3 mm which makes them heavier and bulkier than regular lenses. 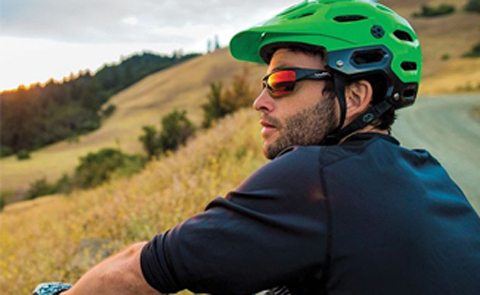 Protective lenses are now measured separately for both high and basic impact. Every lens must qualify the ‘drop ball’ test to be used in safety goggles. The test is conducted by dropping a one-inch diameter metal ball on each lens from a height of 50 inches. If the glass breaks, cracks or is chipped, it is rejected. During mass production, only a statistical sample of lenses is enough to test with the drop ball method. The high impact resistance test involves a ¼ inch diameter steel ball shot directly at the lens at a speed of 150 feet per second. The glass must not break, crack or chip in order to pass, also, it must not fall off the frame upon impact. How Do You Know the Rating of Safety Glasses? The Plus Sign. In order to ascertain the lens has qualified the high impact resistance test, look for the ‘+’ sign. It is an indicator that the product has been tested and is approved for use. The sign is marked at the thinnest area of the lens. ‘V’ and ‘S’ Marks. Other markings you can see on the Prescription Safety Glasses lenses are ‘V’ that indicates it is photochromic and the ‘S’ mark identifies as having a special tint. In some special cases, you may also find a digit marked on the lens. It represents how much light transmittance is blocked by the shaded safety lens. The shaded lens is used by professionals who work with metals. Jobs that include handling molten metal, welding, soldering, cutting, engraving, and brazing require tints ranging from 1.5 to 3.0 (for mild reduction). However, for works that involve high glare such as welding or soldering, 10 to 14 numbers are required and they have very dark tints. High Mass Impact. For this test, the lens is placed inside the frame it is built for and placed beneath a tube. From within the tube, a steel particle weighing 17.6 ounces is dropped from a height of 50 inches. The frame, during the test, is not placed on any table or hard surface, rather, it is worn by an artificial head. To pass the test, the frame must retain the lens without cracking, shattering or chipping. Neither the lens nor any part of the frame must be detached upon impact. Durability. To be considered durable, the frame and lens undergo rigorous flammable, corrosion and all sorts of tests that can really exploit its usage. High-Speed Impact. This test is also harsh in nature but is a must to conduct on frames and lenses to determine if they can actually protect the eyes in a construction site. A steel ball of quarter inch diameter is shot at the frame at a speed of 150 feet per second only from a distance of 10 inches. The test is repeated multiple times from different angles to learn about its impact resistance. ANSI protocols clearly state that every frame must have proper markings so that the buyer can know what he is purchasing. For safety frames with non-removable lenses, the number ‘Z87’ must be marked along with the manufacturer’s trademark. It indicates that the frame has been tested and approved for basic impact. If the frame is being sold to provide safety against high impact, it must be marked with ‘Z87+’. The marking can either be on the front or any temple arm, there is no limitation to where it should be printed. Prescription Safety Glasses must be permanently marked with the code ‘Z87-2’ along with the manufacturer’s trademark. It is a must to mark on the front of the frame and both temples. For more information on the subject, you can purchase the ANSI Z87.1-2003 copy of safety eyewear standards from the American National Standards Institute website. What Type of Safety Lenses Can I Wear to Work? Some activities have special requirements and hence they may need frames with side shields or full face shields. When determining which type of safety eyewear is most suitable for a job type, employers and safety officers should consult OSHA’s website. Similarly, the International Safety Equipment Association – ISEA has released a publication on the "Eye and Face Protection Use and Selection Guide" as an addition to the ANSI Z87.1-2003 protocols. If you wish to read it in more details, you can purchase and download a copy from their organization’s website. For independent contractors, just to be extra safe, it is recommended to use high impact Prescription Safety Glasses. As recommended above to independent contractors, our advice to people working on such dangerous projects at home, use the maximum safety you can buy. If you don’t require Prescription Safety Glasses or you wear contact lenses, you can buy the non-RX glasses for protection from a hardware store or a sporting goods store. Although, being safety providers, the protective frames are thick manufacturers try their best to make them lightweight. Using polycarbonate enables them to keep the weight under control whilst making them thick enough to pass the durability tests. If you are over 40 years of age and have presbyopia, you can purchase frames with bifocal lenses. If you require RX Safety Glasses, you must have a valid prescription from your optometrist. The best that can be used is considered with at least six months of validity. If its near expiry, it is suggested to get a new one before ordering your frame with us. We are well aware of all the safety protocols that are required to maintain while making Prescription Safety Glasses so you can be rest assured, you will be getting the best protection for your eyes from us. If you are working on a carpentry project, use a frame with wide lenses that can cover the cheeks and your eyes entirely. Wooden chips are minute and they are present in the air as dust particles. Your eyes should be covered completely so that not even a single particle can harm them. Working with power tools can cause small bits of particles to form and fly around you. Use frames with side shields to protect your eyes from danger. Are There Any Special Frames for Sports? Whenever you are indulged in any activity that can pose a threat (even the minutes) to your eyes safety, you should have them covered for protection. Also, attaching an elastic to both the temple arms from behind can give you a firm grip and keep the glasses in their position when involved in active sports. Shooting games and during hunting, always wear frames that are approved for high impact rating. Consider using a wraparound style and avoid reflective coatings on lenses. The reflective coat can cause distracting reflections and can also give away your position when you need to remain still for the perfect aim. For hunters, you can also buy camouflage painted frames. You can add side shields to the frame for added safety but it depends upon the model you have chosen. Consider adding special tints like amber or yellow, they can enhance contrast for shooting. Studies revealed that fish hooks are also a major cause of sports-related eye injuries. People who do not wear a wraparound style or frames without side shields have suffered eye injuries. In some cases, the damage was greater and resulted in a loss of vision in the affected eye. Eliminating the reflective coat will not only enable you to see more clearly under the surface of the water, but it will also make your eyes feel comfortable during the sport. If you are a paintball fan and an avid player of the sport, be warned that without proper protective gear you can sustain devastating injuries. It is recommended to use Prescription Safety Glasses over nonprescription glasses with contact lenses. Paintball pellets fired from the paintball guns travel at high speed, nearly the same as real bullets and they can hit you very hard. Head shields used for the sport comprised of the face shield, eye shield, and ears safety. It is because some guns are capable to fire pellets at 180 mph which can easily hit you like a real bullet. What Is the Best Lens Material for Safety Glasses? The most popularly used material for making lenses of Prescription Safety Glasses is polycarbonate. It is half in weight as compared to glass, thus, it does not make the frame heavy providing a comfortable wearing experience. Polycarbonate performs better at impact resistance; hence, it is the ideal choice for manufacturers of safety eyewear. Bear in mind, polycarbonate is softer than glass thus, it is easily scratched even with an anti-scratch coating. Can I Use Anti Reflective Coating On My Polycarbonate Lenses? When ordering your Prescription Safety Glasses, you have the choice to add as many protective coatings are you like. 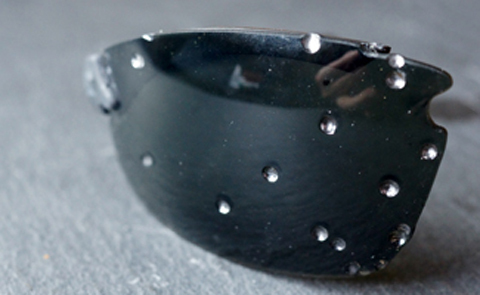 In some cases, it is important to have the AR (anti-reflective) coat to cover your lenses. For instance, during hunting and shooting, the sun’s reflection on your glasses can give away your position. Thus, it is important to order your glasses with the AR coat if you wish to use it for such purposes. Sometimes, the coat can reduce the impact resistance of the lenses, hence, it is obligatory for the manufacturer to run an impact resistance test after applying the coat. Your optician may need to verify that the lab did run the test before sending it to you. 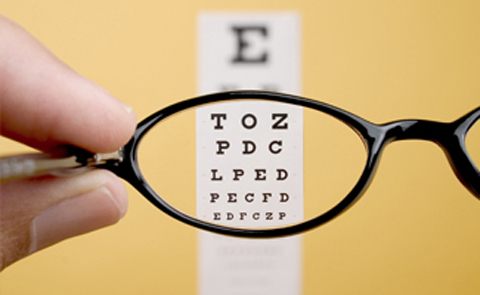 Your eyesight is precious regardless of your usage of Prescription Safety Glasses or non-prescription safety glasses. The investment you make to protect your eyes from danger must be worthwhile. Athletes rarely wore protective eyewear in the past. It was a huge reason for eye-related injuries until recently, the authorities decided it was enough. Now, at least during training, it has become important to wear safety goggles. Anyone who picks up a bat, a racquet or a stick must ensure to keep his eyes protected. Imagine a ball hurled at you traveling at insanely high speed hits you directly in the eye. The damage can cause permanent blindness or at least cause you great pain. Some eye injuries can damage the shape of the cornea which results in the person to require wearing Prescription Safety Glasses for the rest of their life. Fortunately, parents and coaches realize that covering the eyes properly is a must and also saves them from a lot of trouble. When children got hurt during playing, the trip to the hospital not only is painful but coping with the injuries later on is also a daunting task. When children or athletes are perfectly protected while training, the risk of injuries is automatically reduced. Initially, coaches at schools faced resistance by children complaining to look ‘too funny’. Today, manufacturers have made it a point not to skip the fashion part when designing their new eyewear models. 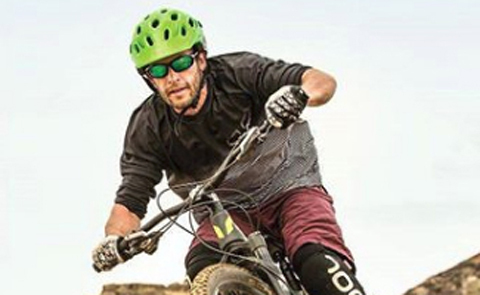 Now sports goggles are a part of everyday wearing. The sporty designs provide them the look that they mean business in the playing field. It is estimated that on a daily basis, hospitals receive about 50,000 cases related to eye injuries during playing. About 40,000 cases are registered all over the United States of eye injuries during work while a majority of them go unreported. Hospital staff revealed that around 50% of the cases they treat on a daily basis result in severe damage to the eyes or vision. By wearing Prescription Safety Glasses or non-prescription safety glasses, you can prevent damage to the eyes at work or in the playing field. While playing, the eye is damaged when a fast traveling ball hits as the player fails to strike back in time. At work, when working around chemicals, splashes have known to cause immense damage to the eyes. In the construction sites, flying bits of debris have caused damage to the eyes of workers. Flying objects aren’t the only reason why you need to cover the eyes. Jabs and pokes by a stick, finger or elbows particularly when people are too close to each other are also a huge cause of eye injuries. Tennis and basketball, for instance, have an extremely high rate of eye wounds. Dr. Ruth tells that people who wear contact lenses are at a greater risk of extreme eye damage in such cases. When something strikes the eye with a great force, contact lenses are known to shatter inside the eyeball causing great pain and require immediate medical assistance. When you wear glasses, even with nonprescription lenses, your vision can improve. For instance, swimmers and divers need to keep the water out of their eyes to see underwater. The ocean’s water is rich in minerals that can cause a stinging sensation in the eyes. Hence, to avoid the unpleasant irritation, divers and swimmers need to cover their eyes. Bikers and cyclists also see better when their eyes are covered during high speeds. The high air pressure can dry out the eyes or it can cause an overflow of tears. Either way, the vision gets blurred and it can become a cause of a fatal accident. Thus, if you require Prescription Safety Glasses do not be shy about it when indulging in some activity or sport that can harm your eyes. Safety eyewear is now available in a variety of shapes and sizes hence; you don’t have to fear to look like a geek. You can easily try on a variety of frames and see how you look before placing your final order. Frame shapes are greatly affected by your face shape too. So, if you see someone looking ugly in frame design, it is not necessary it won’t suit you too. Maybe it can look good on you, so don’t be hesitant to try on some new shapes as well. If you are ordering prescription lenses with the frame of your choice, be sure to provide the latest prescription from your doctor. For adults, it is important to get an eye exam every two years but if you visit your eye doctor every year it is even better. Some jobs, such as people who work on computers need to have their vision checked more frequently. When you work seven hours a day in front of the computer screen, your eyes are greatly stressed. They even absorb a high amount of blue light which is damaging for the cornea as well as the retina. Thus, people having such duties at work should visit the eye doctor and get a complete checkup for their eyes more frequently.